Since the 1960s, generations of fans have adopted outdoor festivals as the ideal place to experience live musical performances. But in recent years, the best American music festivals have moved on board specially chartered cruise ships sailing from the U.S. to the Caribbean, Mexico, and elsewhere. One of the first and most successful of these, Roger Naber's Legendary Rhythm & Blues Cruise, is now considered the true "Woodstock of the Waves," offering, as it does, the finest in traditional and contemporary music along with the same sense of "peace, love and community spirit" most often associated with late '60s rock festivals. At the same time, these "Blues Cruises" are a welcome contemporary refuge for artists who once performed in juke joints and Chitlin' Circuit clubs throughout the South, most of which have now disappeared. 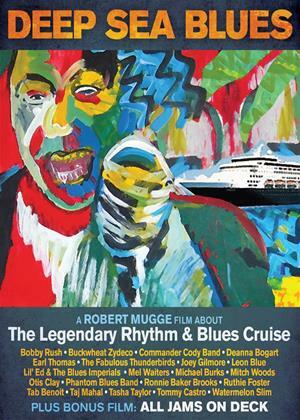 In January of 2007, Legendary's "Blues Cruise" to the Caribbean featured more than 70 performances (Taj Mahal, The Fabulous Thunderbirds, Otis Clay, Buckwheat Zydeco, Tommy Castro, Tab Benoit, Deanna Bogart, Lil' Ed & the Blues Imperials, Commander Cody Band) and 14 special guests (Bobby Rush, Ronnie Baker Brooks, Earl Thomas). It also featured daylong stops on the gorgeous islands of St. John, St. Barth's, and Grand Turk, two of which hosted additional concerts, and one a unique "blues wedding" on the beach.